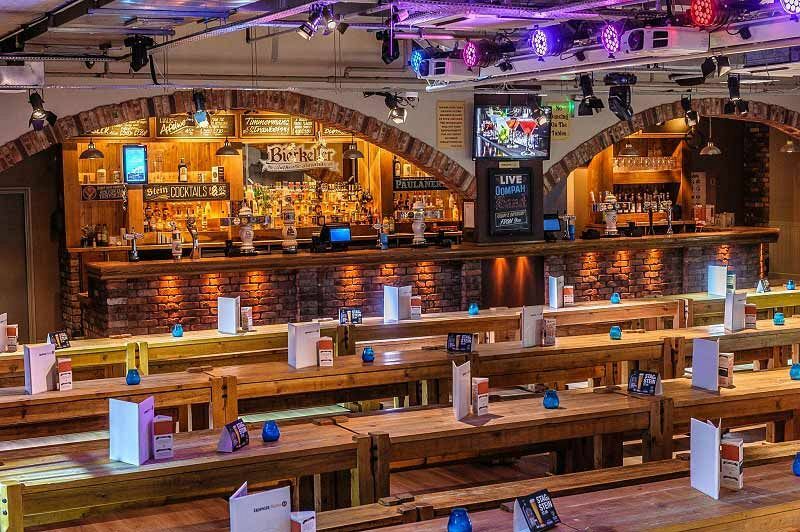 If you’re looking for an exciting and unique venue for hire this Christmas in Liverpool, then we’ve just the place with this incredible Bavarian Bierkeller situated near to the city’s famous docks! It’s the perfect venue if you’re looking to ditch the usual turkey and disco theme for your exclusive celebration and switch it for a taste of authentic Bavaria! 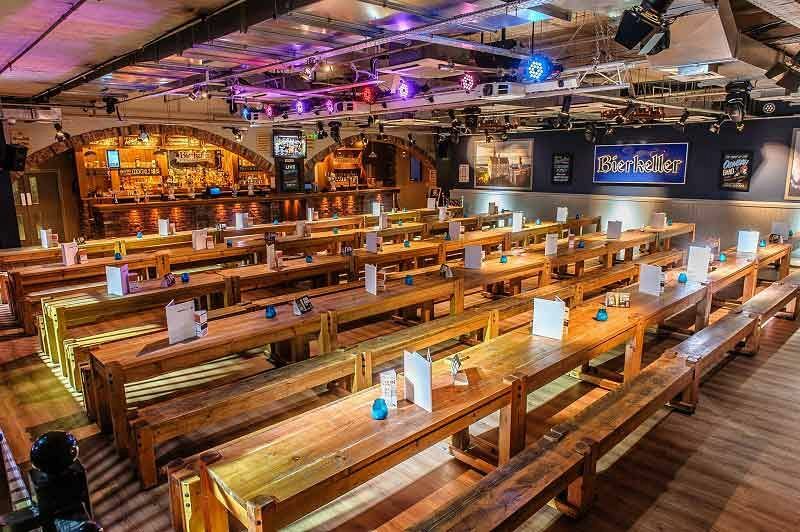 There’s a variety of food and drink packages on offer here that will be enjoyed on the classic long wooden tables for events taking place on Sundays-Thursdays, which includes a delicious German hot dog and fries to tuck into. Other packages include the likes of a succulent hog roast which has been cooked very slowly on the spit and is accompanies by all the trimmings. Vegetarians have no need to worry, because there will be some tasty alternatives available for them to enjoy too. 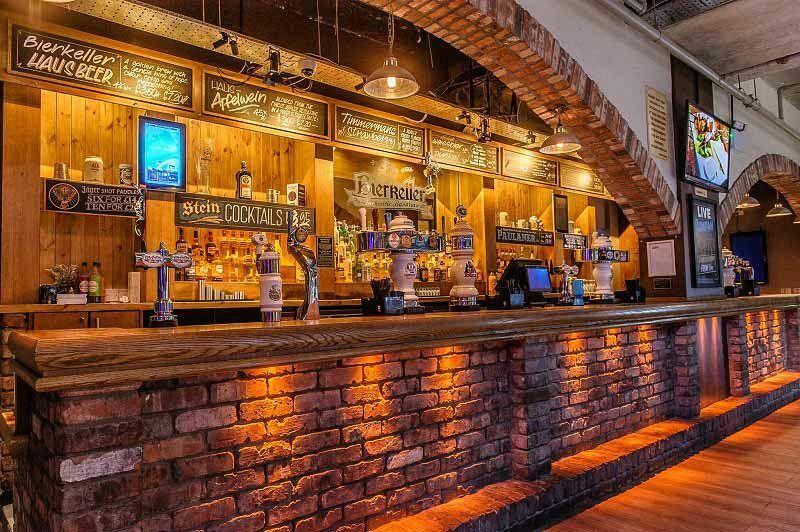 Make sure you treat yourself to a stein of Haus Bier, cider or cocktail and soak up the fun and energetic atmosphere as you party your way into the small hours – you’ll be dancing the night away before you know it, clutching a drink in one hand! Exclusive party dates are available from November 2018 to January 2019. 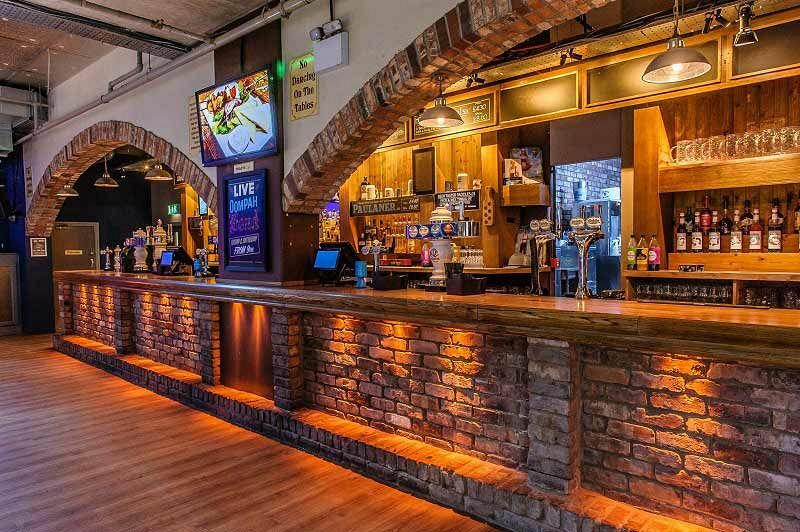 Make sure you send an enquiry through today to secure your dates at this massively popular venue! A variety of food and drink packages are available.